HP and Samsung are taking very different approaches for business users with flagship phones announced at Mobile World Congress, and it all has to do with the underlying Android and Windows 10 Mobile platforms the devices run on. Samsung's Galaxy S7 and S7 Edge could be tuned for futuristic business applications involving virtual reality headsets and wearables. The Elite X3 on the other hand is heavily tied to a large PC user base running classic Windows applications. The Galaxy S6 and S6 Edge are already popular in enterprises, but Samsung is looking ahead. The use of virtual reality in enterprises is still being explored, but the smartphones -- with the help of headset and camera accessories -- can help real-estate agents shoot 3D home tours or train employees in conducting certain tasks or troubleshooting problems. Samsung introduced this week at Mobile World Congress the Gear 360 3D camera, which helps shoot 3D videos, and already offers the Gear VR headset through which to watch the videos. Samsung also foresees the S7 phones working with its Android Wear and Tizen wearables so businesses can be more efficient. For example, sensors could detect when a bank customer wearing a Gear smartwatch enters a branch, and alert the manager. The manager could immediately order the preparation of reports for the customer, which could save time and money. Samsung said it has a special custom deployments unit working to implement such usage. Protecting business data is important, and the S7s have better security features than the S6. The smartphones have Knox 2.6, an improved security layer built into Android that taps into OS and chip features to secure a device. Smartphone users have a special workplace on the S7 from which to access secured enterprise apps. Knox now supports the Android for Work program, and applications can be deployed directly into the workspace by system administrators from the enterprise version of the Google Play store. On its part, HP views its 5.96-inch Elite X3 as a smartphone that can also be a laptop. The device is designed for business users familiar with and tied heavily to applications running on the Windows desktop. 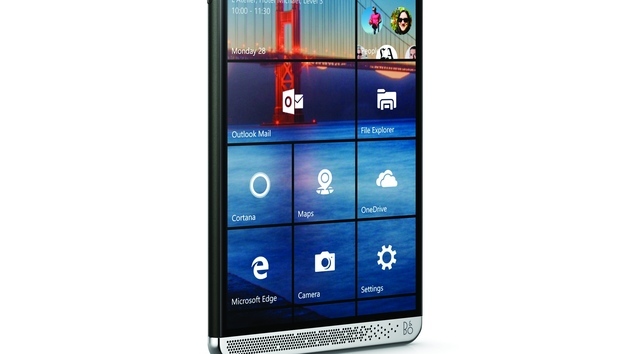 HP is providing multiple accessories so the smartphone can turn into a full-fledged PC. The accessories includes a smartphone dock that can be hooked up to a larger display, and a "Mobile Extender" that enables computing from the smartphone on a 12.5-inch laptop-like device. Microsoft's Continuum enables smartphone applications to run on larger screens. Key to the success of Elite X3 is for traditional x86 Windows desktops applications to work on the smartphone, which has an ARM-based chip. HP is providing services so Windows programs can be brought to the Azure cloud, from where the smartphone can access applications. HP is also working with companies like Salesforce to build applications specific to its device. HP executives said it will develop more enterprise services over time. HP views virtual reality as a big part of the future, but a company executive said there are no such usage models designed for the handset yet. HP -- which is returning to the smartphone market after a hiatus -- has a long way to go before it catches up with Samsung, which offers more location, geo-tagging and mobile-device management features.